When done right, poetry teaches you without forcing you to learn. A great poem doesn't try to attach a bridle to the reader and lead them through a desert like a cowboy would his horse. A great poem invites a reader to ride alongside the writer, to travel with them, allows a reader to learn from their insight and see their world via metaphor and musicality. 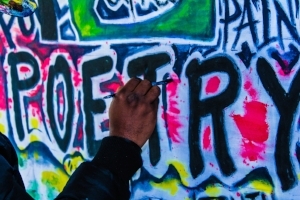 So…what do you find fascinating about poetry? So you want to be more creative in art, writing, work, or whatever. Here are some tips that have worked for me over the years. Ignore others. The more original your ideas, the less good advice other folks will be able to provide. Plus, people tend to naysay and undermine new ideas, whether out of jealousy or fear. If you truly have a new idea, it’s often best to cultivate it internally before getting the opinions of others. Your idea doesn’t have to be huge – it just has to invoke a change in the world. The two are not necessarily the same, even though we often assume they are. Put in the hours and effort. Doing anything worthwhile takes an extra push. What separates the success stories from failed people is time, effort, and stamina. Everyone is born creative. We all doodled with crayons in kindergarten. We imagined impossible things and were happy doing so. In high school, society stole our markers and construction paper and replaced it with algebra and textbooks….and then our workplaces replaced them with mundane memos and company policies. Blah. Deciding that you want to be creative is just you taking back your crayons – the crayons you should have been able to keep all along. Don’t stand out from the crowd. Avoid the crowd altogether. Your plan to showcase your creativity needs to be as creative as your work itself. Don’t blindly follow the same methods others follow just because it’s “what you’re supposed to do.” Find your own path, even if it I winding. If you accept rejection, it cannot hurt you. You will hear “no” often. If you hear it enough, you’ll become numb to it. You might hear no because people don’t understand your ideas, or what you are doing is so different that they think it must fail. Accept rejection as collateral damage. Their rebuffs won’t sting for long if you are certain you’re destined for greater things. The world is changing. Your creative vision needs to change as well. Sing in your own voice. People can recognize a knockoff a mile away. Once you’ve been pigeonholed as a bootleg version of someone else, you’ll never crawl out from under that label. Don’t worry about finding inspiration. It will arrive, eventually. You’re better off not pushing the deal. If you really want to write but it’s not coming easy, go read for a while. If you really want to draw but have no ideas, scroll through some artistic photos. Your body requires food to have enough energy to workout. Similarly, reading or studying the creative work of others can fuel your own creativity. Always create from the heart. These creative tenets seem to work for me. Maybe one or two of these ideas will ring true for you. Safe travels as you embark on your creative journey! …for a poem or story or whatever the hell it will end up becoming. The Science Behind Adult Coloring Books. Fellow creatives, science says there are hormones behind the pleasure of adult coloring books. My dad used to say this when he was pissed off at the world. Not sure if he knew he was quoting poetry…my guess is that was only a happy accident. Is there rehab for a workaholic? Or does society just serve as an enabler, giving workaholics more to do until it is unhealthy? I have a vested interest in the answers. I am usually a decent listener. But yesterday I missed a statement by a co-worker that could’ve saved me two extra hours of work. Which would have translated to more time to write, workout, do errands, etc. I will never get those two hours back. People don’t listen. They fail to keep their ears and eyes open, and this can leave them out of the game. Listening is like intelligence; everyone thinks they’re above average, even though that’s impossible. We focus on formulating their response rather than listening to someone’s complete thoughts. Or fidgeting with smartphones instead of committing to conversation. Or passing judgement on the front end of a compound statement, not letting a person get to part where they agree with our sentiments. I’m not pretending that I’m a perfect listener – as admitted at the start of this post, I fall into these traps, too. But I see this whole thing as the biggest bit of folly in modern society. I get it - life is busy. It whirls by faster each day, and we never have a chance to catch up. We try to accomplish a billion things at once, and sometimes it works out. But active, effective listening isn’t something you can do on the fly. It requires a devoted, conscious effort. The point of this rant - I am rededicating myself to shutting up and listening. 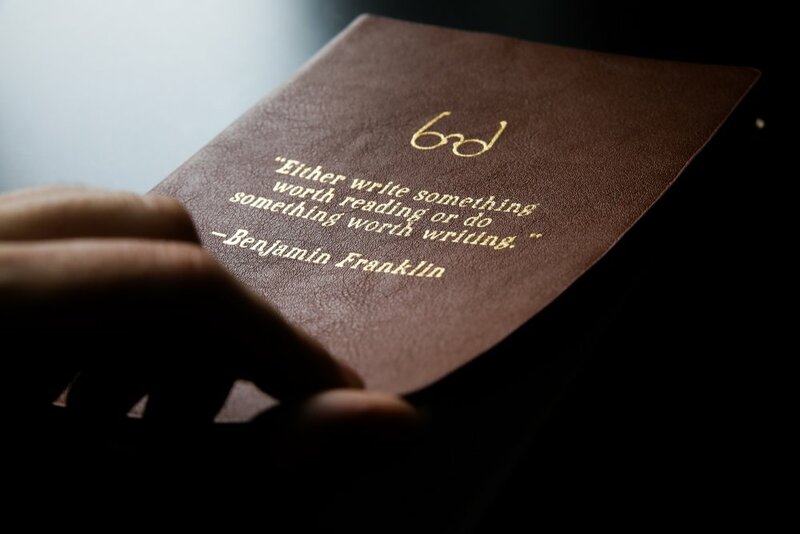 I believe it will help me in my daily life, as well as enhance my writing. Will you join me on this endeavor? This video has been making the rounds. And I can definitely see why - this little dude's reaction to the fact that his favorite book has ended is priceless. Bonus: The kid's t-shirt. The Snuggle is Real, and I'm glad someone finally put that in writing. I don’t want a style. Or I don’t want to be defined by a particular style. It’s taken years to evolve to this viewpoint, but I prefer each writing project, big or small, to invent itself without preset limits. Once a writer determines what his or her style is, they are finished. Because then they’ve defined their own boundaries and subconsciously resist crossing them. They hear the voice of restriction resonating inside their heads louder than the voice of creativity. At that point they might as well tap out. So I want to believe that I don’t have a style. I have poems and books and stories and undefined literary blobs that develop on their own and discover their own voice - their voice, not mine. And I want to maintain this blissful illusion until I die. This just goes to prove that my thoughts of some recent music sounding just plain dumb may be spot on. The Difference Between Honesty and Brutal Honesty. There's an old story (not sure if it is 100% true, just reciting what I learned from a book) about Soviet and British diplomats meeting in 1941, when World War Two was looking very bleak for both countries. Tensions were running high as the Germans were approaching Moscow and the Soviets were convinced the British weren't sending them enough help. The British presented their figures on their war production and why there could be no greater help for the Soviets from them that year. The Soviet response was, "Your figures are lies." The meeting broke down in acrimony. When the conference reconvened after the threat of a British walkout, the Soviets presented figures on their own war production. The British response was, "I wonder if you could check those figures as they don't tally with the ones we have previously seen." The conference proceeded and the Soviets admitted there had been an “error” in the calculation of some of their figures. After the conference, the chief Soviet negotiator met with the British representative and congratulated him on the successful conclusion of negotiations. He asked him why he hadn't called the Soviet statistics lies. “I did,” said the British negotiator. In writing as well as in life, the difference between honesty and brutal honesty can be the difference between winning a reluctant soul over to your side or repelling someone from your cause forever. Understand the difference, and you can call someone a liar without them even knowing it. …for a poem or story or rant or whatever the hell it will end up becoming. Please stop – these ideas are arriving too fast for me to handle, especially keeping my insomnia and attention deficit in mind. Not to mention the overtime I’ve been working. I'm becoming way too disorganized with these scraps of paper, post-it notes, pieces of napkins, whatever I can jot a phrase down on at the time. My story is the autobiography of a busted jukebox, with its soundtrack of contemplation and reluctant silence and an unfulfilled desire to croon ballads it doesn’t have the voice to sing. I sit unused in backrooms where jokers are still wild, philosophers sit atop barstools, and bad advice flows sweeter than any liquor poured in excess.